Thank you for bearing with us in the last few months while we implement a new system to enable faster and quicker access for patients with urgent needs, while maintaining the valuable long-term doctor-patient relationship with a regular GP. We are happy to report that we have been able to accommodate>90% of patients who require appointments on the day for urgent needs since the new system has been implemented. To see your regular GP for ongoing care of your chronic disease, please plan to book an appointment 2-3 weeks in advance. 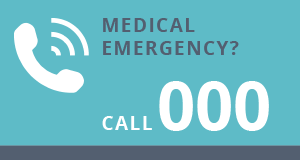 If you are unwell on the day and require an appointment, do communicate to our reception staff the urgency of your concern, and that you require an appointment “on the day”. We will do our utmost to accommodate your request, but you will likely be assigned to the “duty/emergency doctor”, and not your regular GP.